The favourite of our Shourouk-inspired designs. 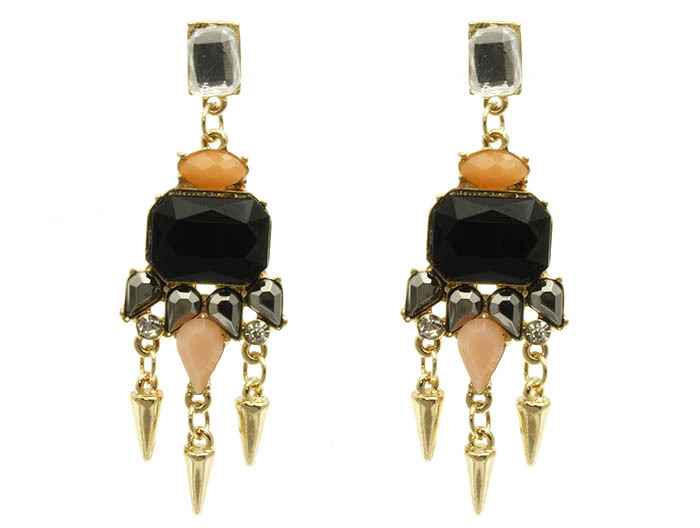 The Frances earrings drip in modern style and a colour palette that make us melt at the knees. Featuring a polychromatic arrangement of faceted stones and golden spike pendants on a clear crystal stud. Created for the hot chicks. Buy this high quality but cheaply priced jewellery online here at Oz Bling.